The Managing Partners of SeVein are some of the Walla Walla Valley’s leading viticulture and enology pioneers. They have established two companies—North Slope Management and SeVein Water Association—to support each property owner’s development. They bring a unique mix of wine industry expertise to this project and a combined 90 years of experience in producing some of the world’s finest grapes. Each owns individual properties in SeVein as well as combined ownership of Seven Hills Vineyard. Their partnership forms the core of SeVein’s vision to create a cluster of world-class vineyards. SeVein is a collection of some of the most technologically advanced vineyard properties in the Walla Walla Valley. 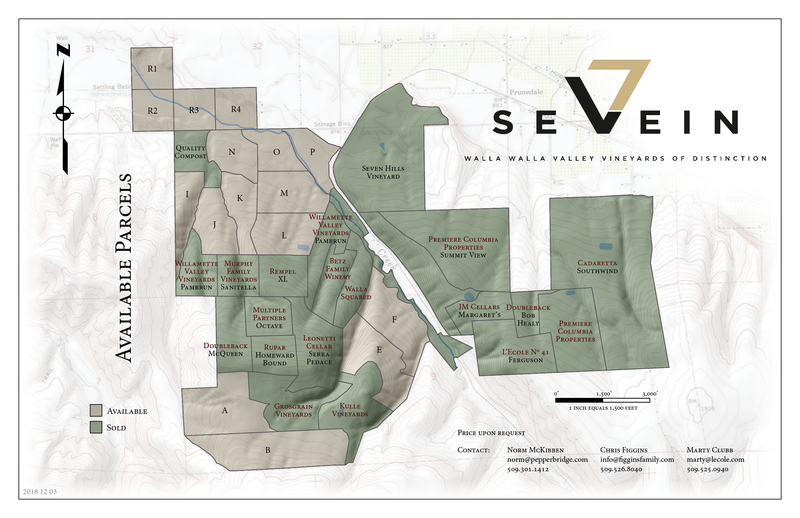 Located on the southern border of the Walla Walla AVA in Oregon State, SeVein’s cornerstone property, Seven Hills Vineyard, is one of the oldest and most prestigious vineyards in the Walla Walla Valley. For the last three decades this property has been graced with vineyards capable of producing some of the finest wines in the world. Of the 2,700 total acres, approximately 1,800 can be developed into vineyards. 1,000 are currently sold, under vineyard development, or producing vineyards leaving 800 available for sale. Vineyard property is available in blocks of 40 acres or larger. Each parcel includes water rights. Property owners receive a pro-rata share of the water company that maintains the water system and public access roads. Geographically, the Walla Walla Valley is an appellation nestled in the southeast corner of the columbia valley ava, straddling the Washington/Oregon state line. About the same size as the Napa valley, Walla Walla is buttressed by the beautiful blue mountains on the east, Vansycle Ridge on the south and rolling Palouse Hills to the north. Located on the sourthern border of the Walla Walla Valley AVA in Oregon State, SeVein’s cornerstone property, Seven Hills Vineyard, is one of the oldest and most prestigious vineyards in the region. For more than 25 years it has been a key vineyard of each founding partner’s own winery—Pepper Bridge, Leonetti Cellar and L’Ecole Nº 41. SeVein’s tremendous vineyard potential is exemplified by the success of the adjoining Seven Hills Vineyard, which has earned a reputation for unsurpassed wine quality from our many winery clients. SeVein’s identity as a unique microclimate in the Walla Walla AVA offers marketing opportunities for our collection of Estate Vineyards. As a contiguous 2,000-plus-acre block, SeVein has a commanding presence overlooking the entire Walla Walla Valley AVA. SeVein’s identity as a unique microclimate in the Walla Walla AVA offers marketing opportunities for our collection of Estate Vineyards. As a contiguous 2,000-plus-acre block, SeVein has a commanding presence overlooking the entire Walla Walla Valley AVA. SEVEIN’S 2,700 ACRES CONSIST of a unique mix of soil types, elevations, aspects, and microclimates. The property covers a 600 foot slope of 15 million year–old ancient basalt flows overlaid with combinations of windblown loess and glacial alluvial sediment. Numerous basalt outcroppings are exposed on the property and many glacial erratics—foreign granite stones carried there in floating blocks of ice—have been found. At the highest elevation of 1,490 feet the loess deposit is as little as two feet over fractured basalt. Descending the slope northward to the 1,200 foot level, loess deposits increase in depth to over 15 feet, marking the approximate maximum elevation of the Missoula floods and resulting slack water silts. Continuing down slope to the 850 foot elevation, there are very deep loess deposits and flood silts overlying the basalt base. This rich combination of soils and basalt creates a multitude of growing regions across the property to accommodate an owner’s winegrowing vision. SEVEIN TAPS WATER MORE THAN 1,000 FEET below the surface filtered for decades through multiple layers of basalt and replenished from the Blue Mountain snowfall. No expense was spared in developing one of the finest agricultural water delivery systems in the Northwest. Three deep basalt wells are interconnected with five reservoirs and over ten miles of buried mainline to provide a total capacity of over 11,000 gallons per minute and give redundant capacity to the water right of 7,500 GPM. State-of-the-art telemetry controlled variable-frequency speed pumps, booster pumps, and motors are designed to deliver 5 GPM per irrigated acre to each vineyard property site. Property ownership includes specifically identified water rights to each property lot. The water delivery system and infrastructure are owned in common by SeVein Water Association. Membership is based on the number of water right certificate acres attached to each property. The Association was formed to own, operate, and maintain the wells, pumps, motors, and portions of the water delivery system. The Association is responsible for delivery of water to each owner’s property line and retains easements throughout the property in order to provide maintenance and capital improvements on the water delivery system and primary road network. A Board of Directors, elected from SeVein’s property owners, manages the Association including determination of monthly assessments to cover electricity contract charges, operation and maintenance of the water delivery system and primary roads. Parcel sizes are 40 acres and larger. Water rights go with the ground and purchasers own a pro-rata share of the Water Association that maintains the water system and public access roads. Property owners have the option of farming their own vineyard, contracting with North Slope Management — SeVein’s custom farming operation, or making alternative farming arrangements. Umatilla County permits wineries to be built on the site of their estate vineyard. 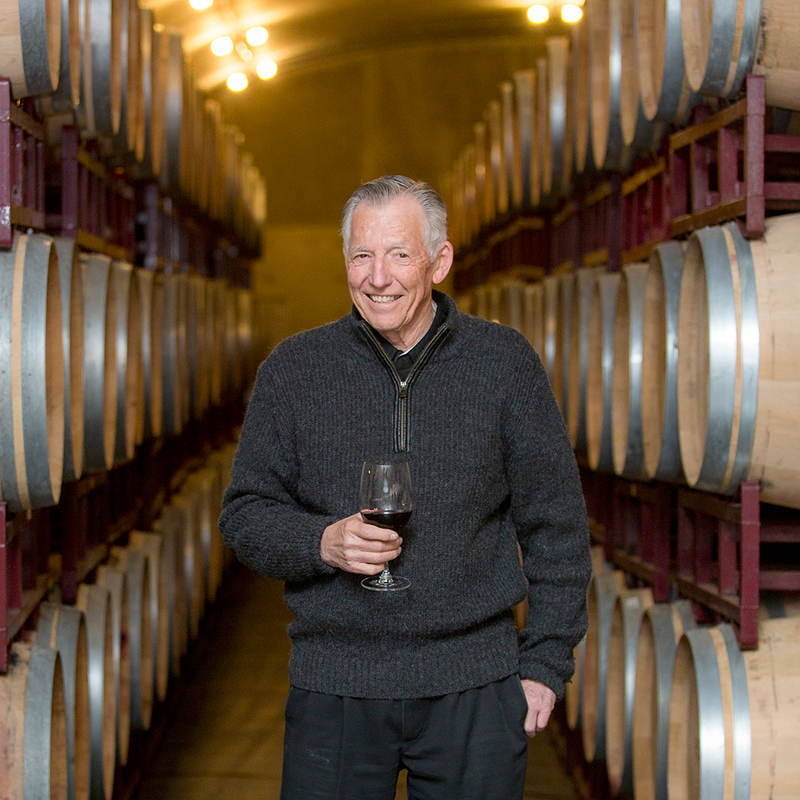 Norm McKibben, a founding father of Walla Walla's wine industry, is known to friends and colleagues as "Stormin' Norman," a reference to his endless energy and drive. In McKibben's 30-plus years in Walla Walla, the valley has evolved from a smidgen on the wine map, with a mere 40 vineyard acres, to an acclaimed appellation, with more than 2,800 acres of premium grapes today. 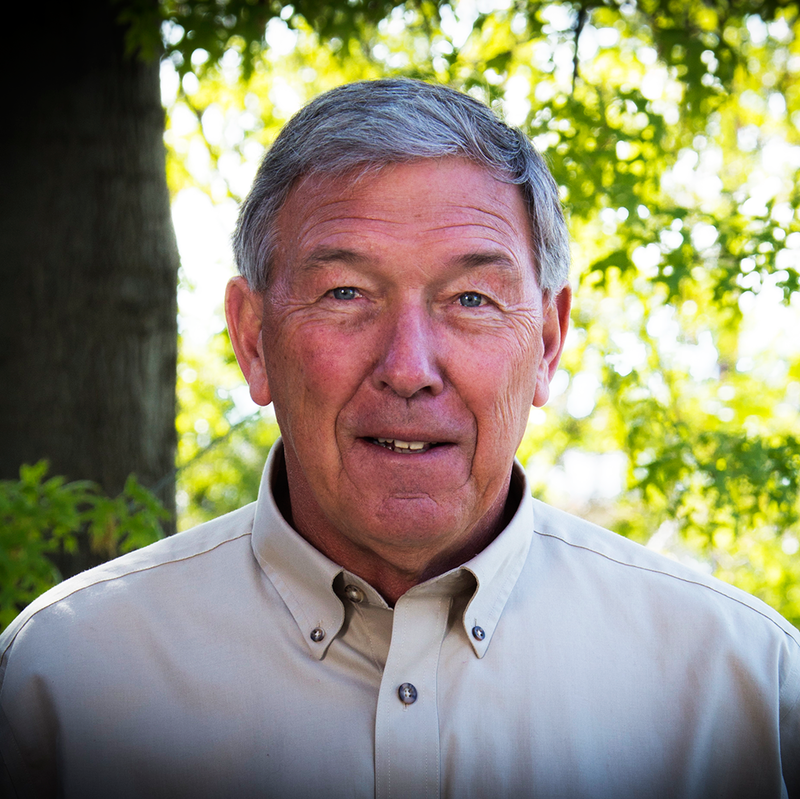 A trained engineer, McKibben worked for several decades in the construction industry. Not wanting to retire after his first career, he moved to Walla Walla to become an apple farmer - only to be seduced by a different fruit. In 1989, realizing the region's great grape-growing potential, McKibben planted his first vineyard, with help from his wife, Virginia, and their eldest son, Shane. Two years later, McKibben added Cabernet Sauvignon and Merlot to land adjoining the family's high-density plantings of exotic apples. The seeds of Pepper Bridge Vineyard were sown. Never one to sit still, Norman kept stormin'. His next ambition: creating his own winery. In 1998, Pepper Bridge Winery was born. Today, Pepper Bridge Winery is a benchmark property in Walla Walla, and McKibben is an icon of the industry. He founded Les Collines Vineyard and currently manages and consults for more than 400 acres of the top vineyard sites in Walla Walla – including Pepper Bridge Vineyard and Seven Hills Vineyard. He is widely recognized as an innovator. At each of his vineyards, he has introduced state-of-the-art irrigation systems, soil moisture and temperature monitoring equipment, and sustainable farming techniques. McKibben is a champion of sustainable viticulture. All of his vineyards are certified sustainable by VINEA, the Walla Walla Valley's Sustainable Trust, and LIVE, an Oregon-based sustainable viticulture organization. They are also certified Salmon Safe and are monitored by the IOBC, the international body responsible for setting sustainability standards. In 1998, the Washington Association of Wine Grape Growers honored McKibben as "Grape Grower of the Year." That same year, he was appointed chair of the Washington Wine Commission and served in that position until retiring from the organization 2001. As for the rest of his work, of course, he has no plans to stop. Gary is widely recognized as the founding father of the Walla Walla Valley wine industry, bonding the first winery, Leonetti Cellar, in 1977. He, along with his wife, Nancy, have created world class wines of true distinction and recognition for over 30 years. Gary’s first entrance into the wine industry started by planting an acre of Cabernet and a small amount of Reisling, with the help of his Italian uncles, on a hillside above the original 1906 Leonetti homestead. Gary is completely self-educated in the art of wine making and grape growing. Gary first started vinifying fruit from the Sevein area in 1982 and to this day, Seven Hills Vineyard fruit remains a critical component in Leonetti wines. 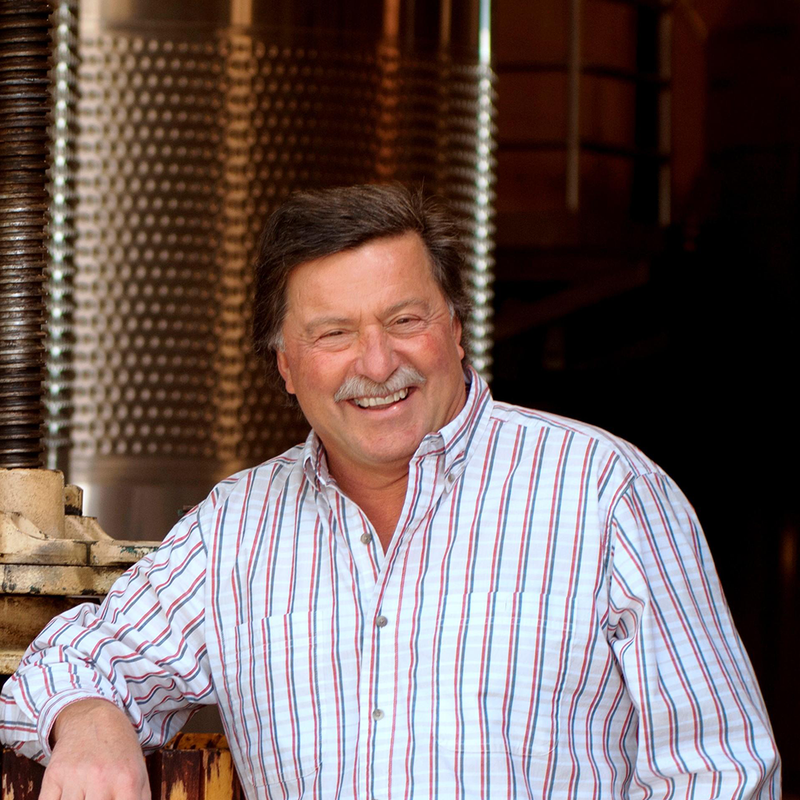 Gary has passed on primary winemaking responsibilities to his son, Chris, but continues to be actively involved in Leonetti and several vineyard projects across the Valley. His passion for developing the wine industry and education in Walla Walla continues, as he was instrumental in developing the WWCC Center for Enology and Viticulture. 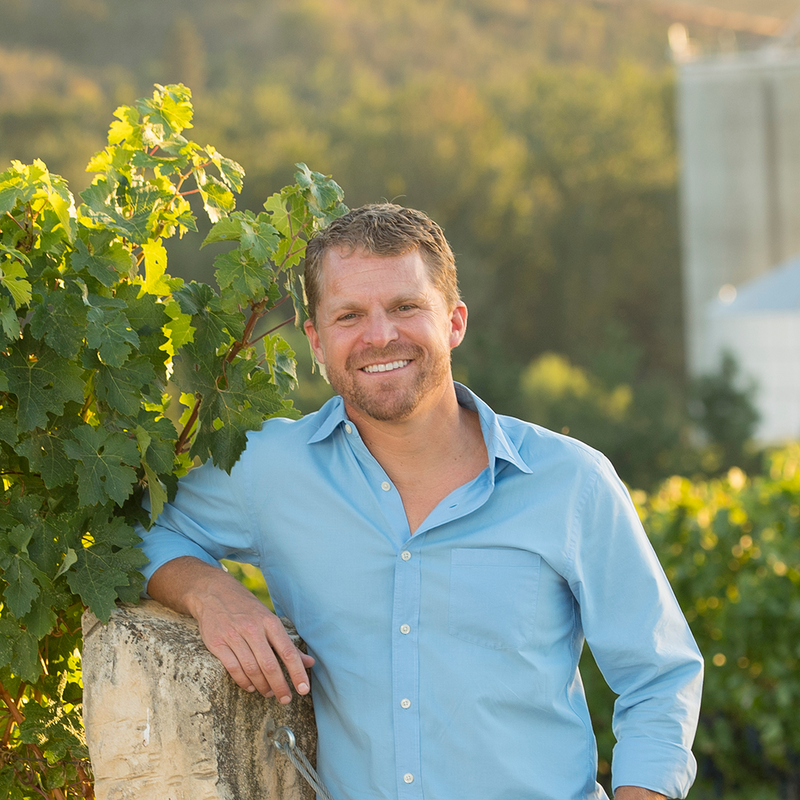 Chris Figgins is the President and Winemaking Director for Figgins Family Wine Estates (FFWE). Chris succeeds his parents, Gary and Nancy Figgins, who founded Leonetti Cellar in 1977 – the oldest winery in Walla Walla. 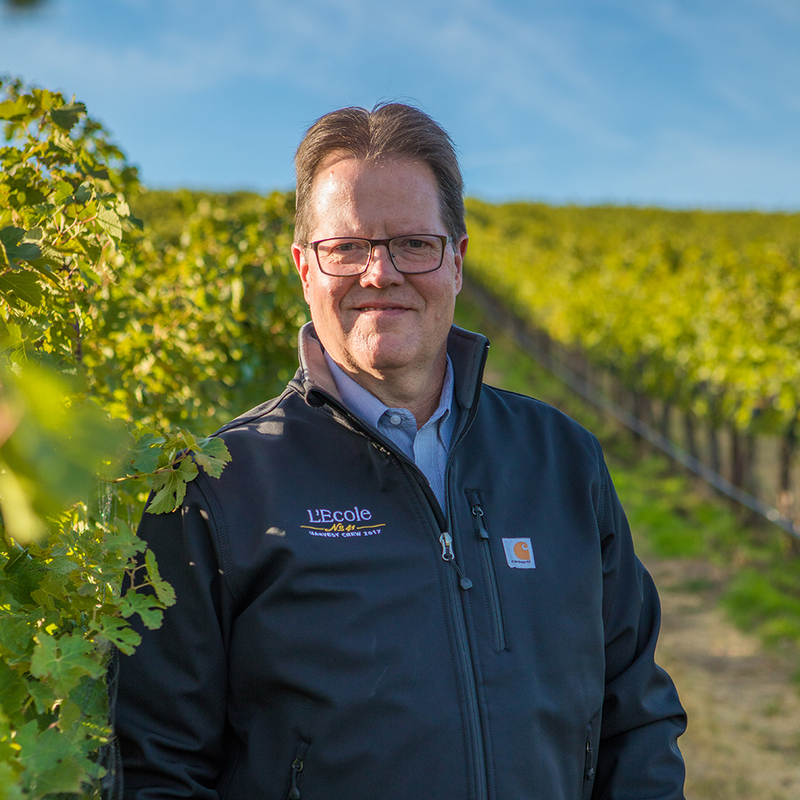 After growing up in the wine business, he officially joined Leonetti in 1996 post-graduation from Washington State University with a Horticulture degree. Chris assumed the position of head winemaker in 2001. In addition to operations and winemaking, Chris presides over all viticulture operations for FFWE, which includes six distinct vineyard sites in the Walla Walla Valley AVA and one in the Chehalem Mountains AVA of the Willamette Valley. To extend the FFWE experience further into wine and food Chris has launched Toil Oregon, a small-production Willamette Valley Pinot Noir, FIGGINS, a single-vineyard estate wine brand, and Lostine Cattle Company, all natural grass-fed beef. Chris was instrumental in transforming Leonetti into an estate grown winery and is known industry-wide for consistently pushing the envelope viticulturally. A frequent public speaker, Chris loves to share his passion for sustainable farming and biological soil health. I grew up in the mountain country of Colorado and claim Glenwood Springs, CO as my home town. I went to college at Colorado State University, earning a degree in Agricultural Engineering in 1964. My specialty has always been irrigation and hydraulics. In 1973, my wife Sydney and our three daughters moved to Walla Walla to join Bart Nelson and the start-up of Nelson Irrigation Corporation. Bart and I have been best of friends and business partners ever since. Nelson Irrigation is a manufacturer of agricultural irrigation products which are sold world-wide, and as Vice President of the company I have had the opportunity to travel the globe wherever irrigation is practiced. Our company mission has always been to save water, save energy and to raise a better crop. These efforts helped me receive the Irrigation Industry Achievement award in 2004. With water as a passion, I served as president of the Walla Walla Watershed Alliance for almost 20 years. The Alliance was a combine of land owners, environmentalists, tribes, as well as government agencies for the purpose of restoring the watershed for the benefit of the economy, the ecology and for the return of salmon in our streams. For the past several years, I have been the president of the SeVein Water Association and actively participate in issues related to the water delivery, and the road systems on the SeVein project. I am a farmer at heart with interests in both dry land and irrigated farm land. I have been involved in vineyard development since the early days of the wine industry here in Walla Walla, planting our first vineyards with Norm McKibben at our Pepperbridge farm in 1989. Marty Clubb is Managing Winemaker and Co-Owner of L’Ecole N° 41 with his wife Megan and children, Riley and Rebecca. Marty assumed the operation of the winery from Megan’s parents, Jean and Baker Ferguson, in 1989, six years after the winery’s founding. Today Marty’s primary focus is a hands-on approach to the winery’s viticulture operation. Along with his estate vineyards, Ferguson and Seven Hills Vineyard, Marty personally works with over 30 vineyards located throughout the Columbia Valley. He collaborates with each grower to optimally manage contracted vineyard blocks to meet the quality requirements established by the winery. In addition, Marty is a Managing Partner with Gary and Chris Figgins (Leonetti Cellar) and Norm McKibben (Pepper Bridge Winery) in the highly acclaimed Seven Hills Vineyard and the SeVein vineyard development, home to L’Ecole’s newest Estate vineyard, Ferguson. Marty’s ongoing dedication and commitment to the Washington State wine industry is evident in his many leadership roles. He has served nearly 30 years on the Boards of various wine industry associations, including the Washington Wine Commission. He is currently Past President and Director of the Washington Wine Institute, and Chairman of WineAmerica. Marty was instrumental in the founding of the Walla Walla Valley Wine Alliance, serving as its first President. He worked with other industry pioneers in the development of the Walla Walla Community College Center for Enology and Viticulture and continues serving in an advisory role.